Spacious house located in the winery area of ​​Vistalba, ideal for wine tourism and relaxing holidays. 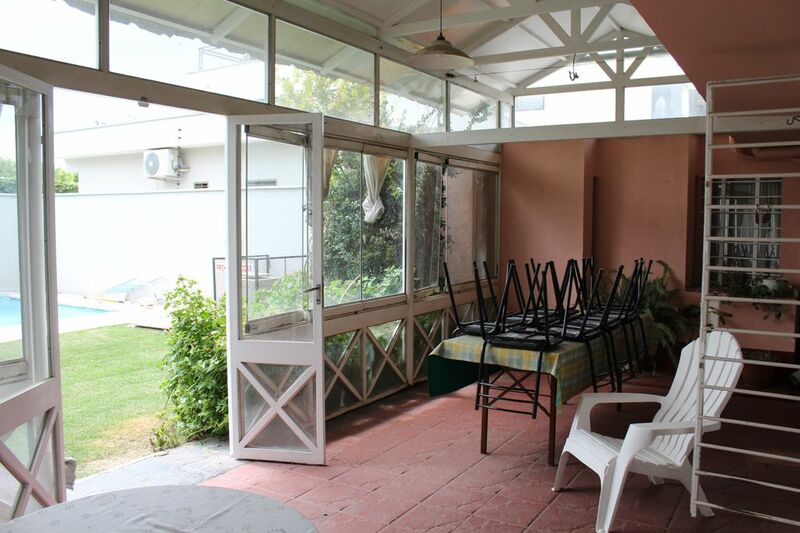 Quiet area with all services nearby and close to Chacras de Coria, a pleasant town with bars and restaurants. One-story house with private entrance, four bedrooms, two with single beds and two with double beds (one with en suite bathroom and dressing room) and two more shared bathrooms. All rooms have large closets. Large living room with fireplace where you can cook a grill, and kitchen attached to the dining room. Patio with pool (seasonal) and churrasquera and a glazed section, the quincho, with table and chairs for up to 8 people, connecting the patio with the interior of the house. Double garage Tableware for up to 8 people. Located on Vistalba's main street, near kiosk, grocery store, butcher's shop, pasta house, supermarket, fish market, rotisseries and more. It is also close to the Vistalba, Fabre Montmayou, Kaiken and Nieto Senetiner wineries. Services: Washing machine, TV, Wifi, Air Conditioning, Heating, fireplace, Sheets, towels and towels, iron. Note: Currently the pool is not enabled.